Amazon is attempting to turn its Cloud Player service into something that can truly be accessed “everywhere” and in order to do so, they are beginning to release apps for different platforms. Last week, Amazon announced support for iOS devices with Ford Sync-enabled vehicles. 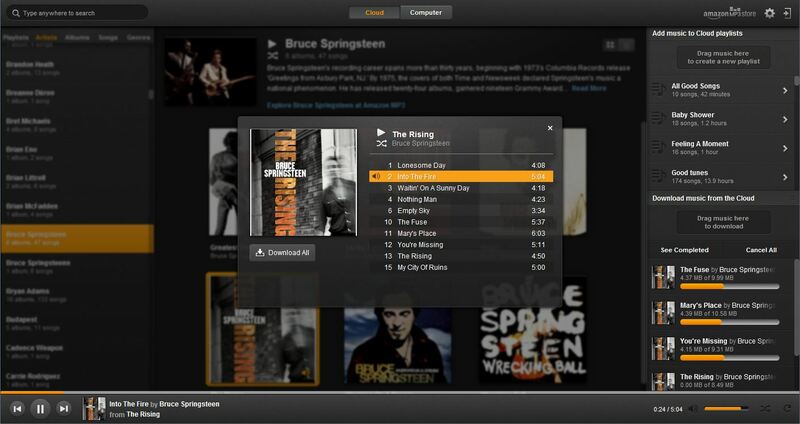 Now, Amazon has added a PC Cloud Player app to its line-up. While users have been able to access Cloud Player through their browser, the desktop application does have some added benefits. You can now store music offline and you can also scan your PC for music that has not yet been uploaded to Cloud Player. Even with this PC app, Cloud Player still only offers 5 gigabytes of storage before you will need to upgrade. Amazon Cloud Player is basically a cloud-based music streaming and storage service that allows for unlimited storage of music purchased through Amazon as well as storage for up to 250 songs “purchased” elsewhere. The service itself offers some things that are obvious digs at iTunes such as Amazon saying that Cloud Player is “all about the music” and the fact that it performs much faster than iTunes does, when it comes to searching for media or playing back music. Much of the increased speed comes from Amazon’s “instant search” which Amazon says can quickly search for songs and then play them from within the search results. The cloud locker side of Cloud Player is probably one of the most appealing to people. Cloud Locker allows users to access any songs uploaded to the service through apps on iOS, Ford Sync vehicles, Android, and PC. Amazon is currently working on a Mac version of the software which comes as a free download. Cloud Player itself is 100% free for most users unless you need extra storage.